Ryan Cardenas helps his students line up for the shot. 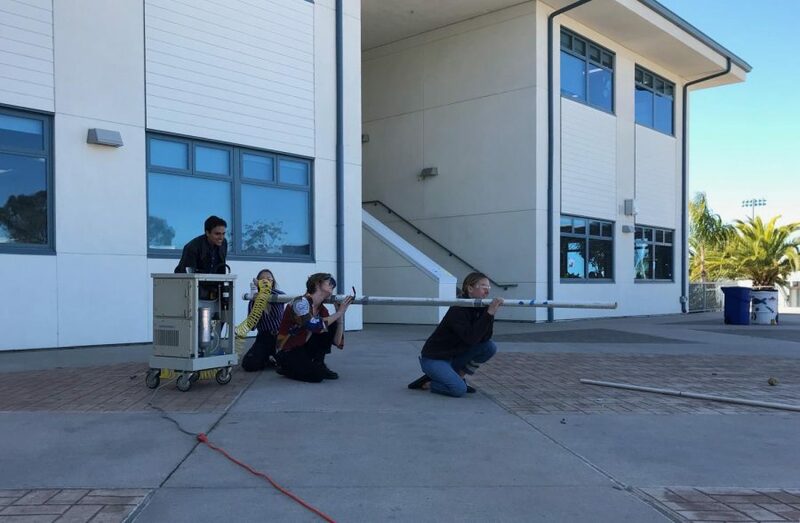 Ryan Cardenas’ college prep physics classes launched potatoes with their “starch projectile launcher” today. This contraption made of PVC pipe sent potatoes over 250 feet in the air and over 85 miles per hour. They aimed and hit a trash can target positioned approximately 100 feet away as well.